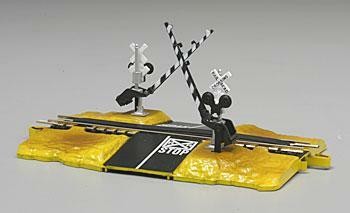 For use with Bachmann E-Z Track. Nickel/Silver rails with black railroad ties. Wiring instructions are listed on the back of the package. Refined and narrower flangeway at the frog and guardrails. Positive mechanical attachments of points. Better electrical conductivity. Smaller switch machine fits into tight spaces. Quick and easy track assembly. This switch is power routing, which means a locomotive will only operate on the track set by the switch blades. Therefore, the. terminal track must be positioned at the heel (switch blade) end. only. 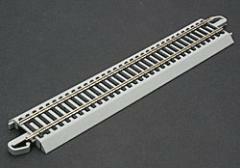 Nickel silver rails with gray roadbed. Wood grain black plastic ties. Snaps together and stays together. HO scale. Track pieces are 4'' long. 4 total pieces within carded package. Easy Snap-Track assembly. Rail is.100'' high. Quality precision, evenly spaced black ties and nickel silver rails. Code 100 track is compatible with most code 83 track by using Atlas' Transition Joiners. Universal joiners included. 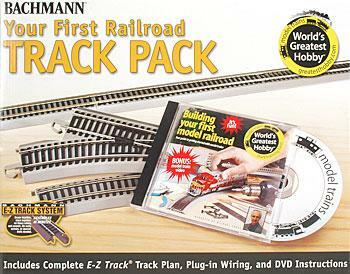 This 43-piece track pack has all the E-Z Track. Grey plastic with nickel silver rails and black ties. Operates on floors, tables, and carpets. No screws, nails, or special tools needed for assembly. Snaps together and stays together. Quick, easy assembly. Economical bulk packaging. 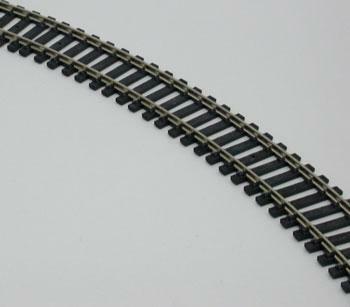 Five 36''-pieces of HO flexible track. Track is so flexible it may be used as straight or curved, though it is straight while in its natural state. Nickel silver rails and black ties that resemble wood. Track pieces are sturdy, well crafted, bendable to the side, and realistic. Great underlayment for multi-track yards, switches, loading areas and sidings. Quieter operation with sound-deadening material. Smoother operation with vibration-cushioning material. Compatible with cork. Quality material, won't dry out or crumble. This flexible track bed is easier to use. There's no soaking involved, just tack or glue down. 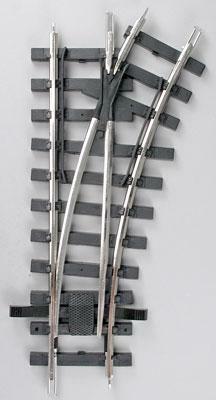 Realistically molded black plastic ties with silver rails. Pre-drilled nail holes. Compatible with any G scale train equipment. Must be manually moved. Beveled for a realistic appearance. Excellent sound absorption. Looks like real ballast. 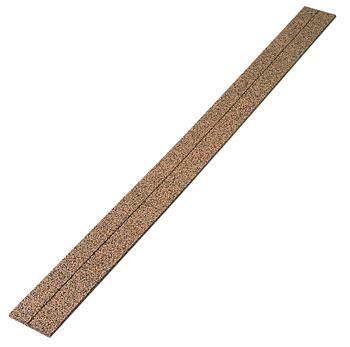 25 strips of 3' cork roadbed for O scale train track. Fits under all brands of track. Lightweight material shapes and cuts easily. Highly consistent thickness and a typically grainy and soft cork surface. 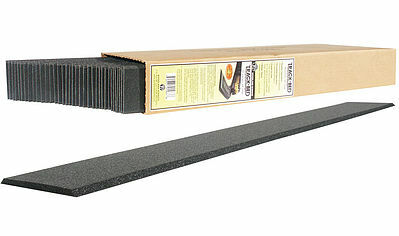 Strips are packaged straightly in a long box, not curled or bent. A beautiful reproduction of a turntable based upon a Santa Fe prototype including many of its key detail elements. For 2-rail and 3-rail operation! Designed to set directly on the surface of your layout. Heavy girder bridge construction and control house. Motor drive is quick and easy to install. Proven Geneva-gearing for positive indexing. © Hobbylinc.com. All rights reserved. Images and Descriptions are representative only, actual items may vary. Prices subject to change without notice. Hobbylinc maintains no responsibility for inadvertent errors. 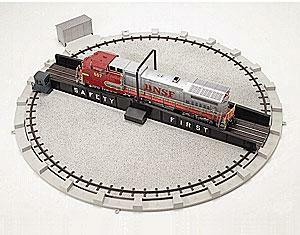 hobbylinc.com is a full line hobby shop which carries train track, and much more.